I ALWAYS HAVE…. I ALWAYS WILL!! It’s obvious that we should tell our beloveds I LOVE YOU every day, but to have an entire day dedicated to LOVE is awesome, in my opinion. What are your plans for V-day this year? M and I are probably going to get cozy and enjoy the cold night at home with some good wine and a home cooked meal! I’m going to attempt to make some pasta with scallops and Moscow mules, my so hooked on this drink by the way! Now onto this adorable outfit…. I love Shabby Apple! I think they have such a unique vintage-meets-modern collection, with each piece fitting so flattering, carefully shaping your silhouette without over exposing. 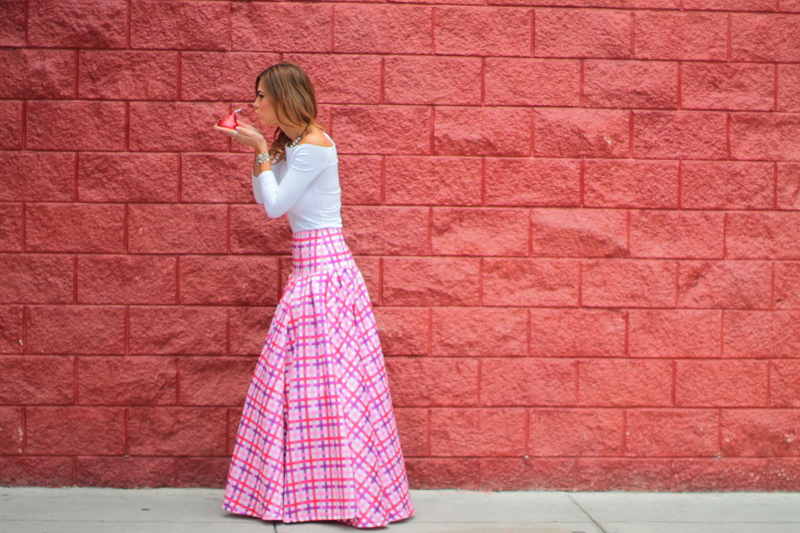 I’m coveting this dress and this two piece as well, but how perfect is this pink skirt I’m wearing for a fun Valentine photo-shoot? It’s so whimsical chic. I loved it! M and I decided to take these pictures in the Downtown Miami area for a street style look. What do you guys think? Thank you for stopping by and I L O V E you all very much for supporting me as I do what I love!